One of the emerging facts to many graduates is they do not have the required skills to be successful at the workplace. While you may have gone through school to the tertiary level, you may still be unprepared for the workplace. Whether you’re a recent graduate or have been in the job market for years, there are certain traits that will help you excel. With these skills, you’ll be able to stand out amongst your colleagues and other professionals. Take accounting, for instance. While you have all the formal education –you could have your accounting or finance degree, your CPA or even ACCA, but still be locked out of a promotion or even getting a job. So, what are the additional but equally important skills you need to excel in accounting? Most companies have graduated from manual records to computerized ones. However, before you can begin understanding accounting software such as Sage and QuickBooks, you need to begin at the most basic level. Don’t let the term ‘basic’ fool you. There’s still a lot to learn from the program. Past the basic training, you need to learn more at an advanced level. In advanced Excel, you’ll learn how to set financial formulae, enter data and apply mathematical tools, and formatting of cells, columns and rows. Look for a guidebook to help you with these skills, or you can sign up to an Advanced Excel Course. Rarely will you find a company that uses ledger accounts or management accounts on paper. Yet, in school, you’re mostly used to use pen and paper. To succeed in your workplace, you need to keep up with the trends. In a practical accounting class, you’ll be taught how to use accounting software such as QuickBooks. 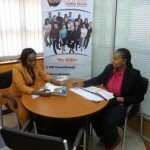 You’ll also be trained on how you can file for NSSF, NHIF, PAYE, Withholding tax, Property tax and many more. Additionally, you should be taught how to navigate the new iTax portal. At Corporate Staffing Services, we not only offer a fully customized practical accounting course that prepares you for any job market, but we also certify you after the training. Equipped with knowledge and a certificate, you’ll have increased chances of getting your dream job, and even advancing in your career. A key sub-function of accounting is bookkeeping. You’ll have to know how to keep records of all business transactions in hard copy. To excel in accounting, you’ll have to be good at bookkeeping. The knowledge you should seek to gain includes learning how to categorize documents, arrange them in a neat and chronological manner and be able to retrieve them at ease. Great bookkeeping skills will ease your work, as well as lessen the burden of having to retrieve records. Accounting is a field that can help you penetrate almost every job market. No matter the industry you’re in, an accountant is always needed. With these additional skills, you’ll be prepared for every job you’re invited for. Hope to secure a job as an Accountant since i have acquired all the above mentioned skills.